As Cameron explained in his latest "What We Use" entry, technology can change a lot in just one year. Around this time last year, I was running with a 2012 Nexus 7, a Galaxy Tab 10.1, and an Evo LTE. All of those devices have changed since then, as have my favorite apps and other gadgets. The family of devices I use has grown and evolved significantly since last October, so I thought it may be fun to detail just what I use to get through a normal day. I use two tablets on a fairly consistent basis. I definitely have a favorite, but my favoritism rotates between the two devices, depending on what I'm trying to get done and where I am. First is the Nexus 7. This is kind of my go-everywhere tablet. I take it on planes, to meetings, pretty much anywhere I go. 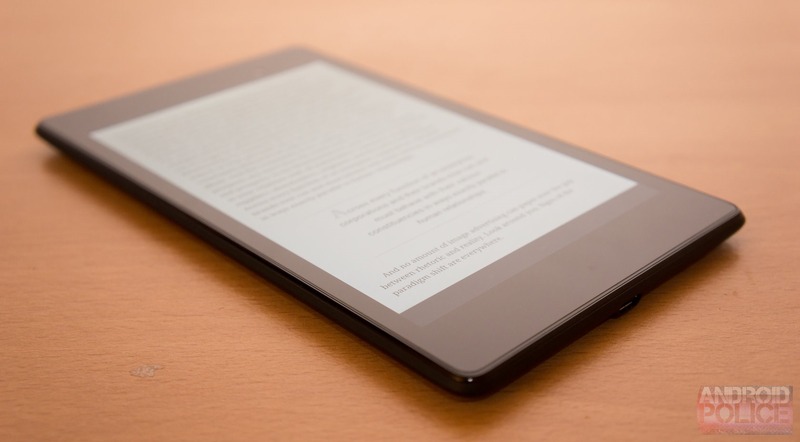 I use it for just about everything – games, movies, reading, emailing, and web browsing. As I explained in my review of the new Nexus 7, it's great for all of these things. And as a product, it provides an excellent experience from start to finish. That said, there are times when I need to (try to) do some real work while on the go. For that, I have a couple of options. I could either haul out a laptop (which we'll get to momentarily), or I could opt for something a little more sleek. That sleeker option would be the Nexus 10. This ten-inch slab has been with me since launch. 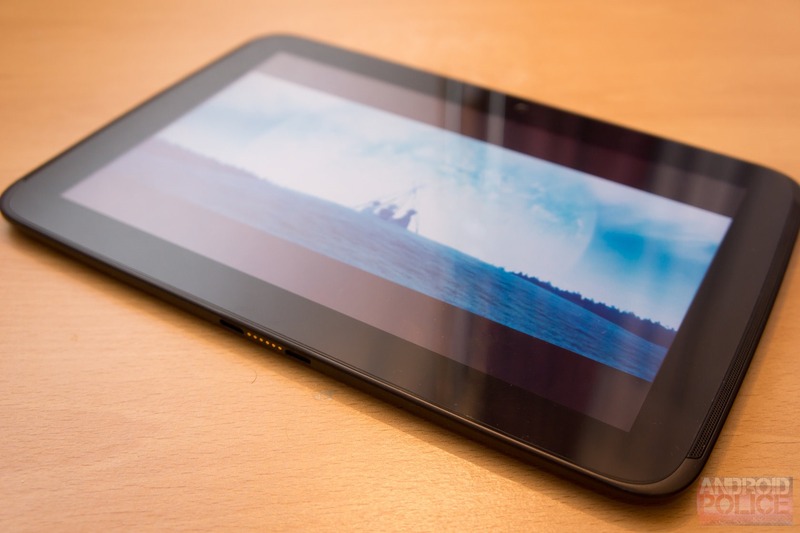 It can do everything the Nexus 7 can do, but on a bigger screen at a higher resolution. This makes it more suited for, say, manipulating a spreadsheet, writing out those really long emails that I just don't have the patience for on a smaller screen, or just enjoying gigantic, well-designed tablet apps. I still use the Nexus 10 for consumption most of the time, though. Movies just look so good on the display. Magazines are phenomenal. The one thing I can't seem to do on it is read a book. Again going back to my Nexus 7 review, this comes down to the size for me. The NN7 is book-sized. The Nexus 10 is phonebook sized. And I don't often find myself sitting around with books that measure 10" diagonally, be they in portrait or landscape orientation. If you haven't noticed already, I'm kind of a fan of the Nexus line. I love using stock Android, and I love the hardware design Google and its partners have produced lately. It should be no surprise, then, that my phone is the Nexus 4. 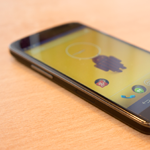 Like my other Nexus devices, the N4 is still stock. If I had come across a need for a root app, I'd have no problem rooting any of my devices, but I just don't see that need popping up in my day-to-day experience, so everything remains stock for now. 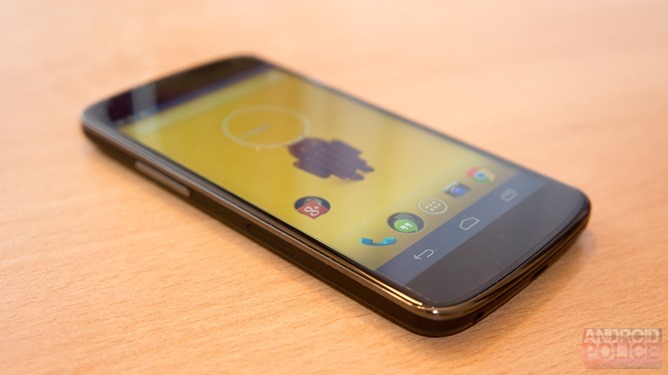 I was kind of a late-comer to the Nexus 4 party, only ditching Sprint (and the Evo) in May 2013. I haven't looked back since. While the N4 doesn't have LTE, HSPA is a night-and-day difference from Sprint's network (at least in my area), and I never had much use for extra SD storage. With those two things out of the way, the N4 made a great fit for me. Now if only it would get a KitKat update. There really aren't too many apps, widgets, and games that I actually rely on or use on a day-to-day basis outside the usual stock or Google assortment. That said, here's a list of the apps etc. that I do use constantly, and a brief explanation. Goggles – This one doesn't really come in handy all the time, but I love getting notifications when Goggles wants to tell me it knows about the thing I've just photographed. Keep – I use Keep for notes, to-do lists, reminders, etc. It's a super simple note tool that requires the minimum amount of involvement from me. Nova Launcher (Prime) – There are some things I don't like about the stock launcher. Nova lets me "fix" them. OfficeSuite Pro 7 – PDF, spreadsheet, and document viewing/editing that's super simple and looks pretty good too. Google's Drive app has gotten a lot better in the recent past, but I keep coming back to OfficeSuite because it's reliable and well-designed. OpenTable – When traveling I love making reservations through OpenTable and racking up points. It's a great way to discover great restaurants in places you're unfamiliar with, and making reservations is helpful for all parties involved. Pushbullet – This app is still amazing. I push things around to all my devices almost every day. Rando – Rando is a ton of fun. Send (moderated) photos to random people all over the world, and receive random photos back! Reddit Sync Pro – Because Reddit. I bounce back and forth between Reddit apps all the time, but I've landed on this one for quite a while. Timely – I'm a sucker for new and interesting design, and Timely has kept my attention. TripIt – TripIt is absolutely amazing if you travel a lot. And the app does everything the website does and more – track your travel reservations, rewards points, and flight status changes. Alerts are automatic and often faster than the airlines themselves. Twitter – I'm just fine with the regular old Twitter app. I used to use Falcon Pro, but Twitter's own app is all I really need. I actually don't use any fancy widgets. I've got the analog clock, calendar, Keep, and Music widgets on three of my homescreens, and haven't found a widget so compelling that I feel the need to add it to that lineup. Even with the widgets listed above, I keep them hidden away from the main homescreen, which I like to keep obsessively clear of junk. Likewise, I'm not much of a gamer, but there are a few games I just keep coming back to. Bejeweled Blitz – It may be old-school at this point, but I can't stand Candy Crush, so Bejeweled is my go-to match-three game. Dots – I downloaded this shortly after it came out and got hooked. It's basically another matching game but its simplicity and aesthetic won me over. Riptide GP2 – I love the Play Games integration and achievements, and the graphics and controls are great too. 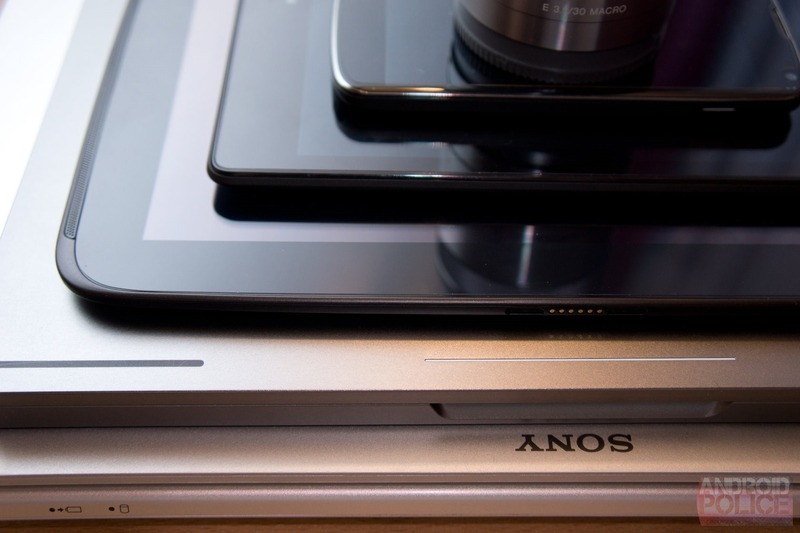 There are a few other devices I can't imagine going without besides my collection of Nexuses. Whether for productivity or creative reasons, I've just got to carry around a laptop and a camera most everywhere I go. This is the only part of the post where I'll talk about something that hasn't changed from last year. I'm still running with the old Vaio S. Is my experience now as good as it was then? Nope. I upgraded the S to Windows 8 earlier this year, hopeful that it would bring an awesome new experience to my laptop. Well, the experience is new. 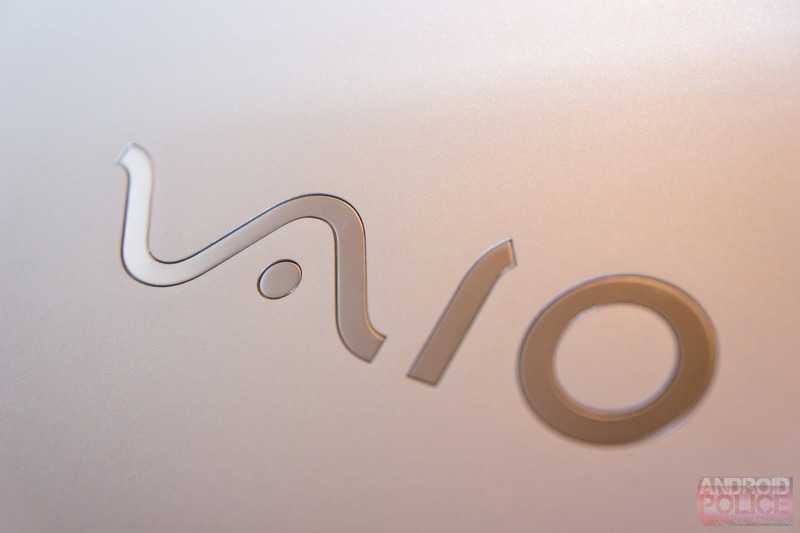 The model of Vaio S I own had many issues with upgrading from 7 to 8, mostly driver related. Sony's response to me on this is essentially "good luck." Otherwise I'm fine with Windows 8. Personally I think it's more suited to touch-only devices (read: tablets), but it works fine for my everyday tasks with a non-touch laptop. Despite the fact that its battery life has gone down the tubes and many shortcut functions no longer work, my laptop still gets work done. I can still use Adobe software on it, and I think it'll get me through till I decide what to upgrade to (any suggestions, by the way?). I'm not at all committed to Sony laptops after this, though the Vaio Pro seems pretty neat. On the opposite end of the spectrum is the Chromebook Pixel. I simply couldn't resist it. This is, bar none, the most well-made laptop I've ever used from an industrial design perspective, and it's just a pleasure to use in general. It isn't often I can say that about a product. I believe the Pixel is an experiment for Google. And it's an experiment for me too. I constantly try to see just how much of my must-do work can be done on the Pixel, because overall I like it much better than the Vaio. The snag it still has though, of course, is software availability and discoverability. I know that there are vector art programs and photo editors out there (I use Pixlr quite a bit on the Pixel), but by God I want Adobe Illustrator, Photoshop, and Lightroom. I just do. 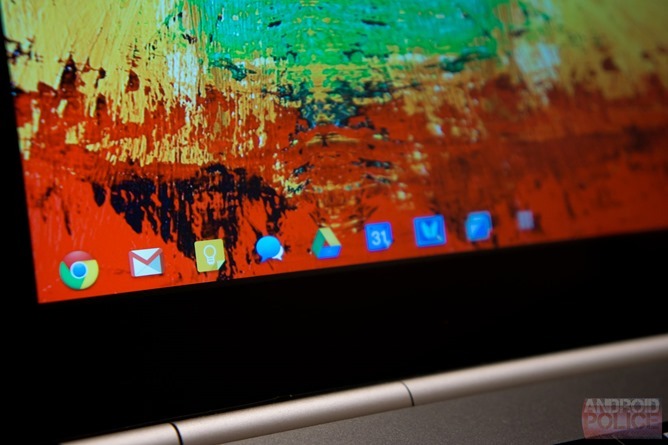 There's no doubt in my mind that if I could have those three tools (without remote desktop, without saying a chant to the Pixel at midnight under a full moon) the Pixel would be my main laptop. Is it realistic to think these things would even run successfully on the Pixel? That's a good question. All I know is I dream of a Chromebook of this quality that can run those things. As for discoverability, when I go to the Chrome store I feel pretty lost. Unless I know exactly what I'm looking for, it feels like a game I'm bound to lose, mainly because I'll get distracted by all the other pretty things the store wants to show me. But that's neither here nor there. I got the NEX 7 just before MWC this year, because my DSLR doesn't record video. 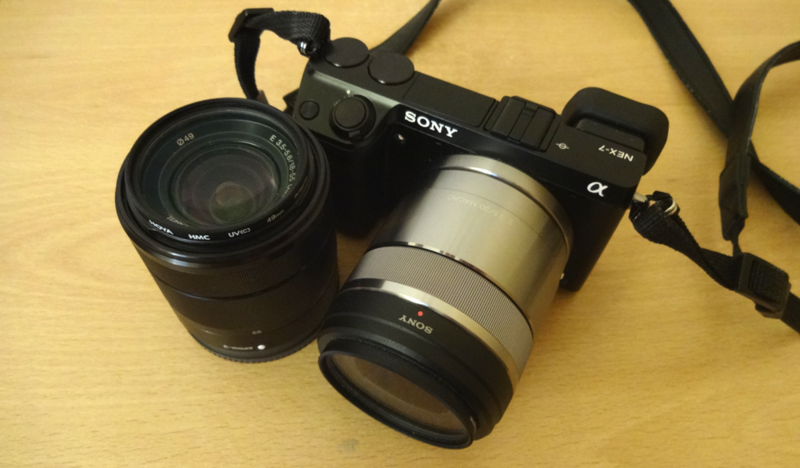 I may have gotten it for a very specific purpose, but in many ways, the NEX 7 is overshadowing my big clunky DSLR and its lenses. I definitely still use the DSLR for studio work and more controlled environments, but the NEX 7 has the manual control I want, the sleek hardware design I want, and the sensor and image quality I crave. It's also a pleasure to use, and it hasn't let me down yet. 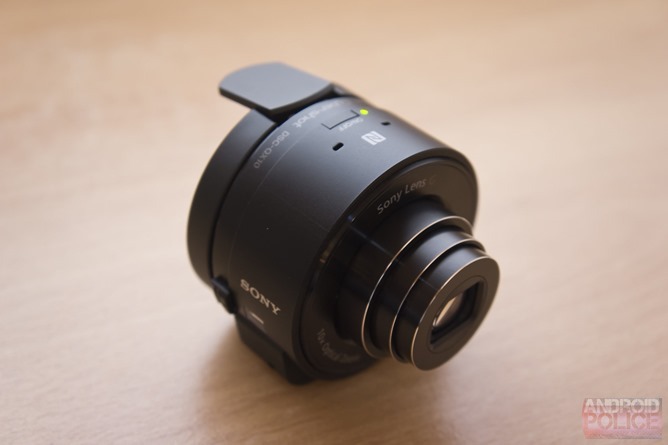 I've just got my hands on the Sony QX10 Lens Camera (yesterday), so it's not exactly part of my daily life yet, but I'll be working with it over the next week or so leading up to my full review for Android Police, and it's a device I'll definitely be paying attention to. Plus, given the timing of my "What We Use" post, I couldn't resist mentioning it. The whole concept of the QX10 is somewhat odd. The device has a lot of drawbacks, too. That said, it's really interesting and seems to have a great image quality so far. I'll be interested to see how (if at all) it finds its way into my normal routines. If you've got any questions about the lens camera before my full review, go ahead and ask in the comments and I'll try to answer as many as I can! That concludes our brief tour through the technical gadgetry that keeps me productive and creative day in and day out. Not necessarily a thrilling or intriguing assortment, but an ever-changing group of products that augment (and improve) my workflow. Feel free to drop any questions in the comments.